The Tri-Zone All Sports boot has taken on a smart new improved look and has been re-styled for ultimate comfort and fit for your horse. Revolutionary design to combat the problem of over heating of the horse’s tendons whilst still providing highly effective protection. Since its launch in 2009, this revolutionary boot has fast become a tack-room staple as one of the most versatile boots on the market, suitable for a wide range of disciplines from endurance and racing to dressage and hacking. Designed to be the perfect ‘all rounder’, the Tri-Zone® All Sports boot combines great protection with breathability, flexibility and lightness. All these factors have been assessed in the laboratory and the boot then tested by leading riders for comfort and ease of use, to result in a truly effective boot. 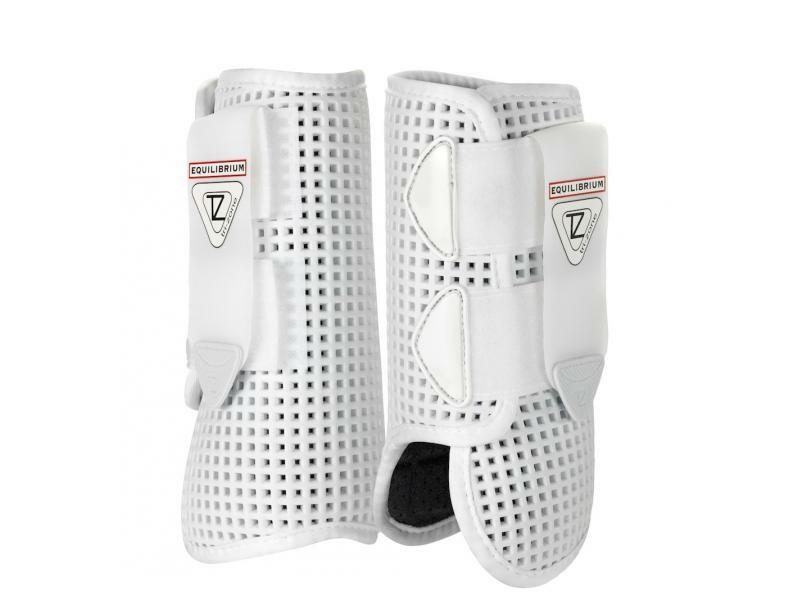 Using a unique combination of materials, these innovative boots incorporate the ventilated layered Airlite system to help prevent overheating your horse’s legs which can cause long term tissue damage. The outer layer is made from an Ethylene Vinyl Acetate (EVA) mesh. 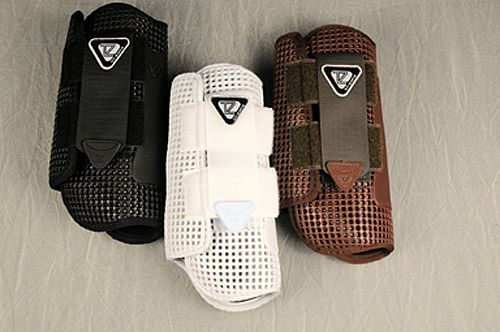 It is hard wearing, yet still flexible, and is designed to help disperse concussion. The inner layer is made from shock absorbing EVA formed as a breathable, soft pillowed lining for ultimate comfort and fit and has tiny air holes to allow heat to escape which encourages the horse’s natural cooling system of perspiration and evaporation. In addition, a highly protective and ergonomically shaped integrated TPU guard helps to protect the vulnerable tendon area. It is the cumulative effect of these layers that gives this boot its individuality and protection system. They are very lightweight; they actually float on water, making them perfect for endurance sports where tiredness can cause injury and every ounce of extra weight is important. 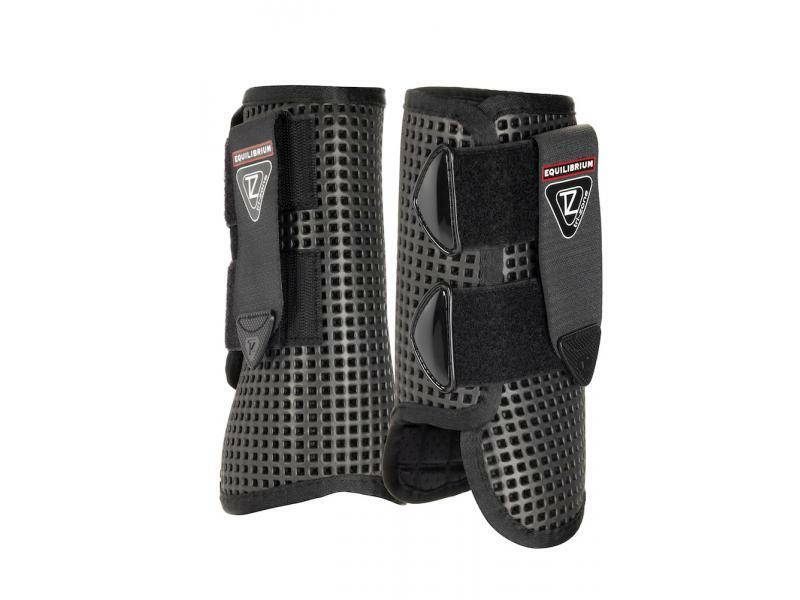 There are currently no questions for Equilibrium Tri-Zone Allsport Boot - be the first to ask one!